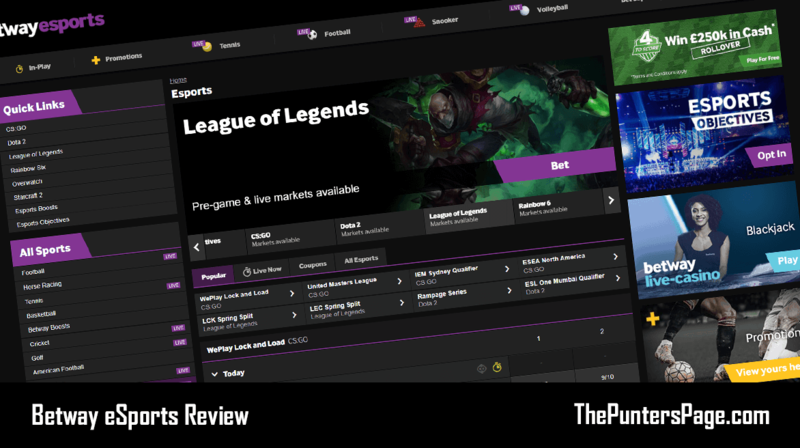 In this article we explain all you need to know about the Betway free bet sign up offer up-to £30 (previously deposit bonus) along with a step-by-step guide on how to claim the promotion as well as the key terms and rules you should know about. 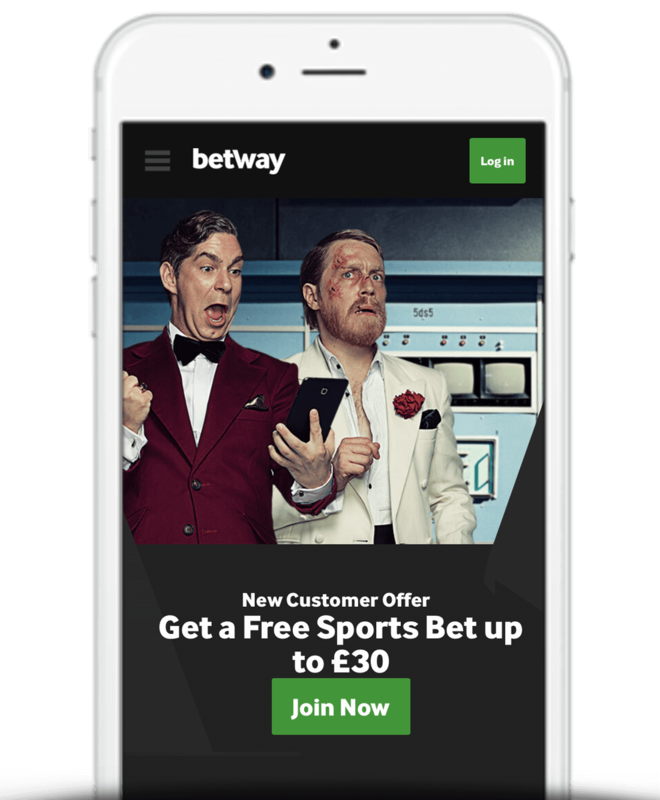 Betway claim they set themselves apart from other online betting sites and high-street bookmakers and that all starts with the Betway Sports free bet welcome offer where new customers are welcomed with an exclusive 100% matched free bet up-to £30. 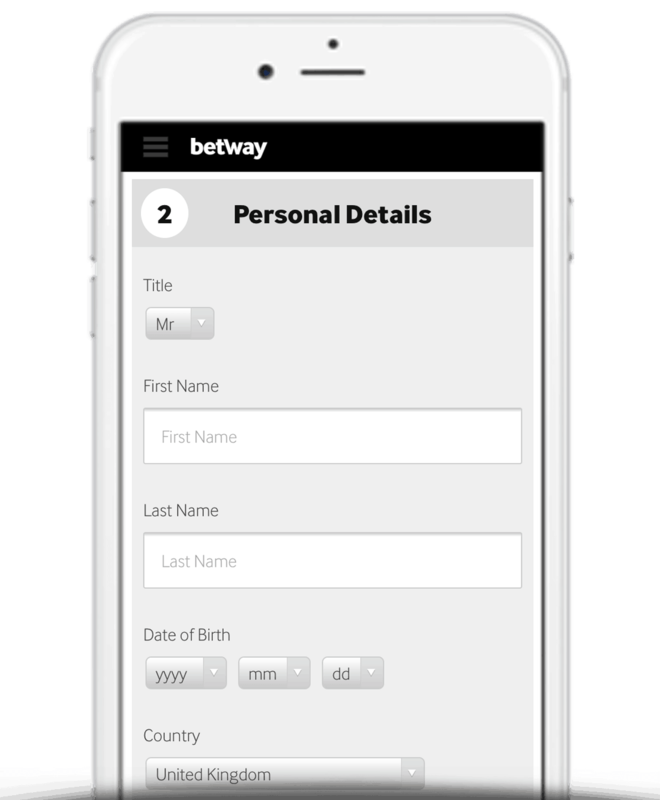 What Is The Betway Free Bet Sign Up Offer? Simply sign up today (you do not need a promotion code), make a deposit using a debit/credit card or PayPal account between £10 and £30 and Betway will instantly match your deposit. For example, deposit £30 and have £60 to play with. To activate your free bet simply place bets totalling the value of your first deposit up-to £30 and your free bets will instantly be made available to your account. Your qualifying bets can be on any sports and any markets and can include as few or as many selections as you like providing single bets are at odds of 3/4 (1.75) or greater and doubles+ contain selections at odds of 2/5 (1.40) or greater. The free bets don’t end there. Opt In to the Betway Club, spend a total of £25 each week on football accas consisting of 3 selections or more and Betway will credit you with £10 in free bets. Firstly, click here to head to the Betway free bet sign up offer landing page. Create an account (you do not need a bonus code). ‘Opt In‘ to the offer by checking the ‘I wish to receive the Sports Welcome Bonus offer‘ box. Make a deposit up-to the value of £30. Place bets totalling the value of your 1st deposit. Betway will then activate your free bet. Select ‘Use My Free Bet’ located at the bottom of your bet slip. Confirm your bet by clicking ‘Confirm Bet’. Free bets expire after 7 days after being credited (unless specified otherwise). Free bets placed on a selection that is later voided will be returned to your account again as a free bet. The biggest return on any free bet stake is £20,000 (or currency equivalent). 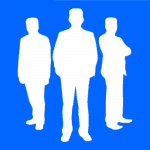 Here you need to create your username and password and enter your email address. Here you need to select your Title, enter your First Name, Last Name, select your Date of Birth and Country. 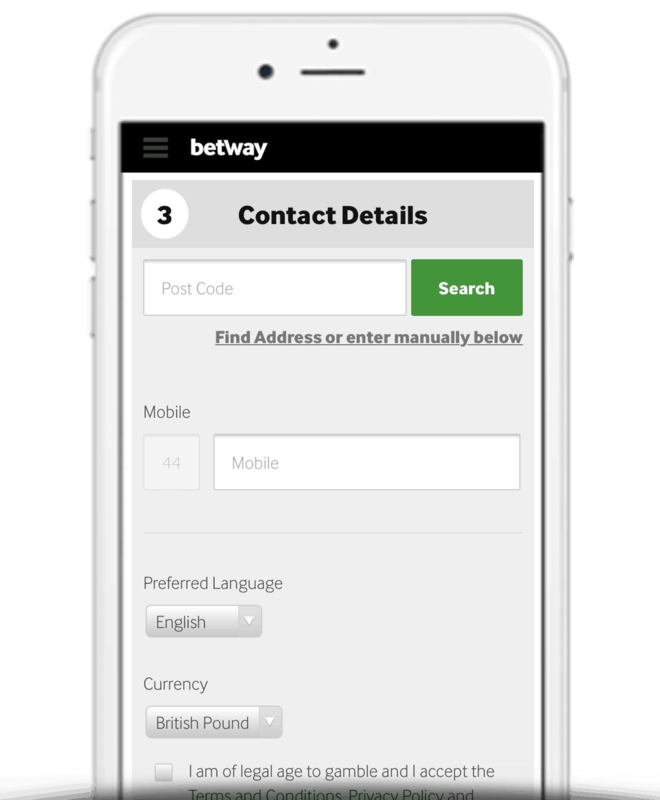 Here you need to enter your Post Code and Mobile number and then select your Preferred Language and Currency. There are a number of key terms and rules you should be aware of regarding Betway’s £30 free bet sign up offer. We’ve detailed the main ones below although you can find the full T’s & C’s on the Betway website. Qualifying single bets must be at odds of 3/4 (1.75) or greater. Qualifying doubles+ bets must contain selections at odds of 2/5 (1.40) or greater. Free bets for valid for 7 days. 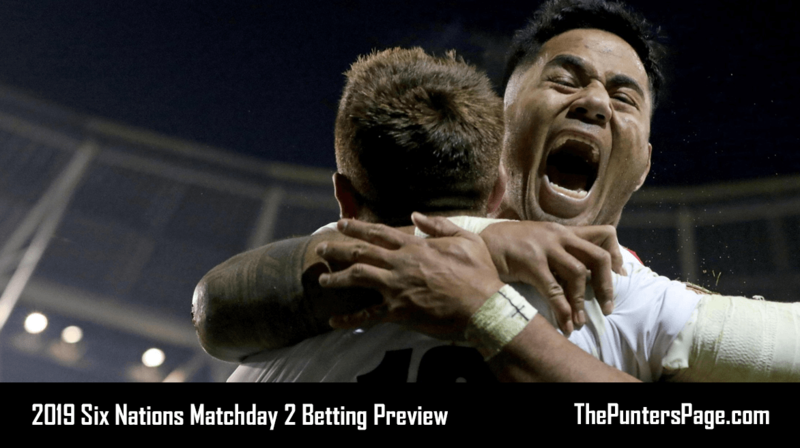 This matched free bet up-to £30 offer for new Betway customers is a great incentive to join one of the fastest growing online bookmakers in the world.